Genuine General Motors Intercooler Feed Hose Part no GM 93185363 catalogue no 5860921. Signum Mk I ( Hatchback 2003-2008 ) - Fits Engine Codes Y20DTH and Y22DTR Only - Used With Air Conditioning, and Manual or Automatic Transmission - From Chassis Ranges (C)31079339- Onwards. 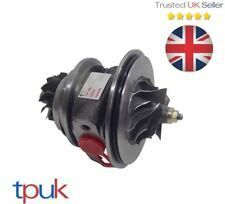 NEW GM TURBO FOR VAUXHALL MK 5 2006 ASTRA TD (ALSO CORSA OR ZAFIRA). I UNDERSTAND THIS TURBO ALSO FITS SEVERAL OTHER VAUXHALL VEHICLES. 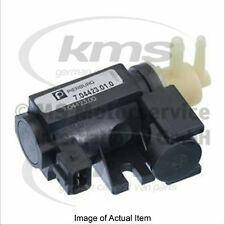 VACUUM SOLENOID VALVE 09128022. Vauxhall Zafira. Vauxhall Frontera. Vauxhall Vectra. FRONTERA Mk II (B). Vauxhall Astra. Vauxhall Signum. ASTRA Mk IV (G). Proof of mileage will be required on fitting and on failure, before we can process any claim under warranty. We have 35 years of experience in the motor trade. Rear Bumper Kits. Our carriage is to UK Mainland only, not including Scottish Highlands. VAUXHALL 6302046. VAUXHALL 6302040. VAUXHALL 24418365. VAUXHALL 12788019. We will always attempt to rectify the issue as fast as possible! Eg, Vetech, Erst Klassig, Franzen, NK, etc. With this in mind, we will indicate what type of product you are looking at within the following guidelines. Vauxhall Part Number: 12790720. Signum (2003-2008). Vauxhall Signum 2003-2008Z28NET. Vectra C (2002-2008). Vauxhall Vectra C 2002-2008Z28NET. Item details: Genuine Vauxhall Front Outer Air Cooler Duct. Vauxhall Corsa E 2016 5 door dashboard ,airbags ,ecu, seat belts ,no tensioners. JOHNSONS VAUXHALL CAR BREAKERS LTD.
Standard C20LET Top Hat. Boost solenoid & AIT Sensor included Getting hard to find now. PART NUMBER - 55579900. ZAFIRA B - 1.9CDTI - 2005-2015. GENUINE VAUXHALL TURBO WASTE GATE VALVE. ASTRA H - 1.3CDTI / 1.7CDTI / 1.9CDTI - 2005-2010. ASTRA J - 2.0CDTI - 2009-2015. INSIGNIA A - 2.0CDTI - 2008-2017. Vauxhall vectra c 2.0 diesel turbo. Référence fabriquant : 1208020, 24420584, ZS338, 90543253, 90560110, 1208012, 133816. Vauxhall Corsavan MK II 1.2 16V 75 à partir de 2000. Vauxhall Corsavan MK II 1.2 16V Dual-Fuel 75 à partir de 2001. Uprated Turbosmart internal wastegate actuator. Providing better turbo response and greater sensitivity when managing boost pressures. • Actuator Base Pressure can be changed with internal springs. We cannot be held responsible if the product is not suitable for use outside the UK. 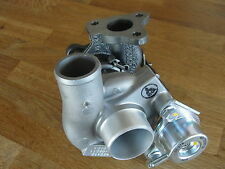 Uprated Turbosmart internal wastegate actuator. Providing better turbo response and greater sensitivity when managing boost pressures. Astra H VXR and Zafira B VXR with K04/K06 Hybrid Turbo (with Turbine Wheel Cut Back) 290bhp - 340bhp. This is an original quality part manufactured by Pierburg. 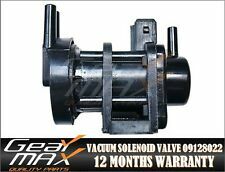 FOR VAUXHALL INSIGNIA A.
Uprated Turbosmart internal wastegate actuator. Providing better turbo response and greater sensitivity when managing boost pressures. • Actuator Base Pressure can be changed with internal springs. • Locking Collar design cap allows for quick spring changes. OPEL - VAUXHALL - ISUZU PARTI ORIGINALI - RICAMBI ORIGINALI. ASTRA VECTRA ZAFIRA . LH = SINISTRA HAND(UK)=LINKS(DE) = IZQUIERDO(ES) = goffo (FR)=ESQUERDO(PT)=SINISTRA(IT). ANTARA . SIGNUM TIGRA KADETT . Uprated Turbosmart internal wastegate actuator. Providing better turbo response and greater sensitivity when managing boost pressures. • Actuator Base Pressure can be changed with internal springs. VAUXHALL 51770417. VAUXHALL 13205149. We just want you and your car to be happy! We will always attempt to rectify the issue as fast as possible! You'll have the part ASAP. With this in mind, we will indicate what type of product you are looking at within the following guidelines. This is an original quality part manufactured by Pierburg. Multiple choices exist for:VAUXHALL CORSA 1.7 Turbo Pressure Valve. FOR VAUXHALL CORSA D. Vehicle compatibility. VAUXHALL 6302076. VAUXHALL 6302072. VAUXHALL 13213402. We will always attempt to rectify the issue as fast as possible! Eg, Vetech, Erst Klassig, Franzen, NK, etc. With this in mind, we will indicate what type of product you are looking at within the following guidelines. Removed from a 2015 ( Combo 2012 On range) Vauxhall Combo L1H1 2300 105 L.C.V. 1.6 Diesel, that has covered 0 miles, Engine Code. L1H1 2300 105. Combo 2012 On. Gaskets & oil seals are not covered. Title to the goods shall remain with SYNETIQ Ltd. (until paid for in full). Uprated Turbosmart internal wastegate actuator. Providing better turbo response and greater sensitivity when managing boost pressures. • Actuator Base Pressure can be changed with internal springs. Helpful Links. 2006 VAUXHALL VECTRA EXCLUSIV 1.9CDTI. This is an original quality part manufactured by Pierburg. 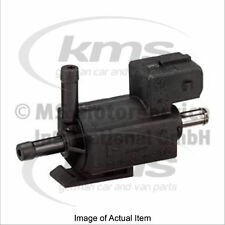 FOR VAUXHALL VECTRA C.
VAUXHALL 851017. VAUXHALL 5851600. VAUXHALL 5851073. VAUXHALL 55573362. VAUXHALL 55563534. VAUXHALL 55558101. We just want you and your car to be happy! With this in mind, we will indicate what type of product you are looking at within the following guidelines. VAUXHALL 6302076. VAUXHALL 6302072. VAUXHALL 13213402. We just want you and your car to be happy! We will always attempt to rectify the issue as fast as possible! You'll have the part ASAP. With this in mind, we will indicate what type of product you are looking at within the following guidelines.